Lodenice, Czech Republic (AP) – As vinyl records make a global comeback, a little-known Czech company is riding the market surge to establish itself as the world’s biggest record manufacturer, with plans to expand in North America and Asia. GZ Media, based in a small town south west of the Czech capital, has made deals with all the major music labels and is running its plant day and night, every day of the year — even on Christmas — to satisfy booming demand. This summer, in an effort to get closer to the growing American market, it is due to open a new plant in Canada and is finalizing a deal to acquire a majority stake in a factory in the United States. “Nobody expected the vinyl records production to come back in such a strong fashion,” Michal Sterba, GZ Media director general told The Associated Press in an interview. As a company, it knows something about ups and downs. 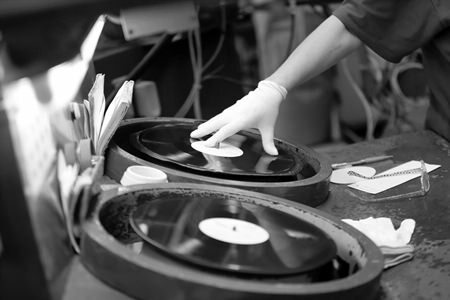 Previously called Gramofonove zavody Lodenice, it has been making vinyl records since 1951. But just as the Cold War ended, CDs started taking over the market. The company’s output hit a record low of about 300,000 records a year in the mid-1990s. The days of vinyl seemed to be numbered. Then in 2010 the market began to bounce back. The company’s output ramped up dramatically to 18 million last year and an estimated 25 million this year. That’s a big chunk of the world market, which is estimated to have produced between 90 and 100 million records last year, though official figures are not available. GZ Media’s closest competitors are Optimal Media in Germany, which made about 16 million records in the full year to September. And United Record Pressing, based in Nashville, which is estimated to have produced 11 million last year. Following a $10 million investment, a new joint venture with a partner in Canada, Precision Record Pressing, will start operating in Burlington, near Toronto, in August. Its production capacity should reach 3 million next year and 5-6 million in three years. GZ Media also is due to acquire a majority in an existing vinyl plant in the United States with a capacity of 3 million records. Sterba would not reveal details. “Our main goal is to become No. 1 or 2 on the U.S. market in a couple of years,” he said. According to the Recording Industry Association of America, total sales revenue of vinyl albums soared 32.2 percent last year compared with 2014, for a value of $416.2 million. Vinyl albums still have only a tiny share of the overall market for music, some 3 percent globally, the International Federation of the Phonographic Industry said. The figure is slightly higher, at six percent, in the United States. But the trend is obvious. Sales in the U.S. reached almost 17 million units last year, putting revenue at the highest since 1988. It’s also more than the revenue made by ad-supported, on-demand services like YouTube, free Spotify, and others, RIAA said. Coping with the demand is a challenge for producers. GZ Media, however, has a competitive edge over newcomers. While new equipment for record printers hasn’t been developed in about 30 years, GZ Media has invested in making its own pressing machines. All the major music labels have deals with GZ media to print their records and album covers — from rock to classical music — as it has become an industry standard to have almost every new album available also in vinyl. On top of that, the classics and collectors’ items remain popular. The company is particularly proud of a deal to make 40,000 pieces of a box set with the Rolling Stones’ albums as well as the soundtrack music for “Star Wars” that includes a 3D hologram of a space ship. Sterba said GZ Media’s turnover is expected to grow some 10-15 percent this year to reach some 2.4 billion koruna (US$101 million). Just as it was hard to predict vinyl’s revival, it is hard to say how long it can last. “I would expect the growth to continue for another two or three years,” says Sterba.